We know you have worked hard and now there may be a reason you cannot work. You may qualify for disability benefits if you are currently not able to work a full time job for any health related reason. However, obtaining Social Security disability benefits can be a long and confusing process without an attorney to guide you. If a person who has paid into the Social Security system suffers from a disability that has resulted or will result in them being unemployed for more than twelve months, then they may be entitled to Social Security disability benefits. If you believe you qualify for disability, you should immediately contact our office so we can help you with your initial application. After we submit your application, it is then reviewed and will be accepted or denied. This is why you need to obtain an attorney as soon as possible. We are some of very few attorneys who offer our services at the initial application stage for SSDI. If you have already applied and been denied it is not too late to obtain an attorney. After being denied, you will be given 60 days to appeal and ask for reconsideration. Our firm will then file your appeal and gather even more information supporting your disability claim. The federal government clearly outlines specific criteria that must be met before someone can be declared benefits our attorneys are familiar with these criteria and can advise you with their years of experience. You must be totally disabled. This means that you have a condition that prevents you from performing gainful employment. 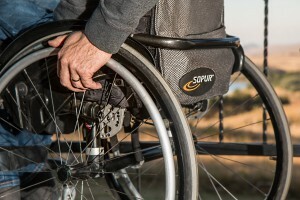 If you have not worked enough to qualify for SSDI benefits, you could possibly be entitled to disability benefits through the Supplemental Security Income (SSI) program. This is only if you have hardly any income or very few assets, if any. If you have already filed a claim you can check the status online by creating an account. Most people associate Social Security with retirement benefits as you get older. The Social Security Law also provides benefits for younger individuals who are disabled through the Social Security Disability and Supplemental Security Income programs. You are not required to hire an attorney for Social Security disability or SSI benefits, but there are three reasons why an attorney might be beneficial to you. You might be eligible to receive Social Security Disability benefits if you suffer from a medical condition that prevents you from working fulltime. Proving that you suffer from a disability can be a challenge. Most first-time applications for benefits are denied by the Social Security Administration. Lawyers know that proving your disability can involve more than just a report from your physician, so they prepare for demands from Social Security for additional documentation. This supplemental information might include medical test results, work history records, statements you make on your application and statements about your disability from friends and family members. When you are represented by a lawyer Social Security realizes that someone who understands the law will use it to your advantage. For example, you might be eligible for retroactive benefits for up to 12 months prior to your application date, but it depends upon the alleged onset date of your disability. Attorneys understand the complexities involved in determining onset dates. They also know how to fight on your behalf when the government counters the alleged onset date with its own date that is referred to as the established onset date. The established date must be supported by medical evidence, so your lawyer can fight them on this point. Social Security Disability denials go through multiple levels of appeals. When dealing with an attorney Social Security is confronting someone with knowledge of the law and the skills to draft briefs and present evidence in support of your claim. Individuals attempting to hand handle their own appeals are at a disadvantage because they are attempting something new and unfamiliar to them. SSD lawyers have experience conducting cross examination of medical or vocation experts presented by the government at hearings. They also know what documents or testimony can be the most beneficial to your case. The legal arguments they use at the higher appeals are supported by what they accomplished on your behalf at the hearing stages of your claim. The McCravy Newlon & Sturkie Law Firm has been able to help many people with legitimate claims who have been denied Social Security Disability benefits. Please contact us using the form here or call us toll free at 1-800-376-4529. The term “disability” is defined by Social Security as the inability to engage in work due to physical or mental impairment expected to last more than 12 months. This definition is often used by the Social Security Administration to deny benefits. There are several different ways to apply. We can assist you with this if you qualify for SSDI. All fees must be approved by the Social Security Administration. The fee is normally 25% of back benefits plus costs expended on your behalf if we win your case and is normally capped at $6,000. Statistics show that claimants who are represented by an attorney are much more likely to win their claim. The McCravy Newlon & Sturkie Law Firm attorneys have combined experience of more than 30 years of trial experience. How many steps is the Social Security process? There are three initial stages to a Social Security claim. These are the initial application stage, the reconsideration stage and the hearing stage. To learn more about this process click HERE. I have to go to a hearing. What should I expect? At a hearing you will go in front of a judge and be able to present evidence that you are disabled. This can be a strenuous process and it is best to have an attorney present to assist you. My benefits were denied. What are my options? You may be able to appeal your decision if you were denied for medical reasons. You need to obtain an attorney to help you with the appeal process in order to greatly improve your chances of receiving a favorable decision. How long does it take to get a hearing for a Social Security disability claim? In most cases it takes around a year before a hearing is scheduled. In rare cases hearings can be expedited if you are terminally ill or are facing dire need financial problems. This has to be determined by the Social Security Administration and is very rarely approved even with substantial documentation. I haven’t been going to the doctor because I don’t have insurance and I can’t afford treatment. Will that affect my ability to get Social Security? Yes. Proof of medical treatment is medical treatment is essential to your disability claim. Please contact us today to assist you with your claim by calling us toll free at 1-800-376-4529.